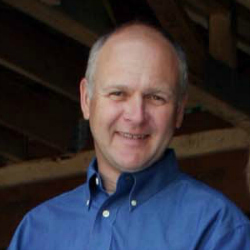 As President of Schwinn Homes, Greg Schwinn has over 35 years of experience in the construction industry. Schwinn Homes was founded in 1978 as a Framing Contractor and has evolved into one of Lincoln’s premiere residential general contractors. Schwinn’s wide range of experience and strength of reputation can be seen in nearly 400 homes built in and around Lincoln during the span of his career. Active in his industry, Greg has served as President of both the Lincoln and Nebraska State Home Builders Associations. From 2001 to 2002 he was National Association of Homebuildlers Area 11 Vice President and in 2012 was named a Senior Life Director. Honored by his peers in 2002 with the Heart of the Home Builders award, Greg Schwinn was also recognized as Nebraska’s Outstanding Builder in 1996. Mr. Schwinn has given back to his community through his volunteer work on affordable housing committees, Stephens Creek Initiative Study, co-founder of the Nebraska Housing Resource and as member and chairperson of the Lincoln/Lancaster County Planning Commission.